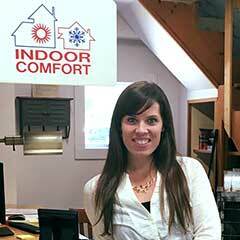 Molly Wilson is the Business Manager for Indoor Comfort. She works endlessly to make sure everything is in place so that the technicians and customers are both happy. Molly is the daughter of former owner Mike Martin. He hired her to work part time while she was in college, and through the years she has taken on many new responsibilities making her the financial manager and general business manager of the company. 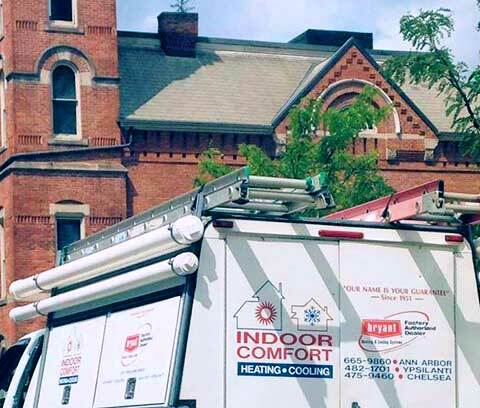 Molly juggles her time at Indoor Comfort and her time being a mom of two young children; very often she is doing both at once. Molly lives in Ann Arbor with her husband and children. She enjoys spending time with family and friends, being outside, and catching a yoga class whenever she has the time.